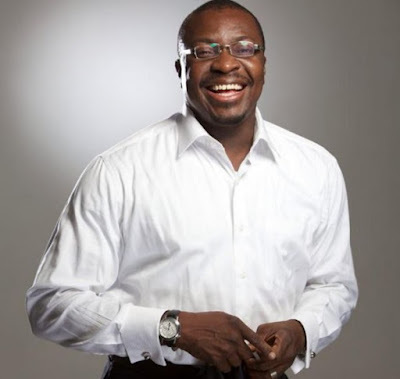 Comedian Alibaba shared this story of how a married man became an ex-convict after he found his wife with her lover in their matrimonial home in Abuja. "This story I am about to share, you would have heard, told several times, in different ways. But mine is not a story. A friend of ours, a lawyer, in Abuja, was at a 5 day retreat and decided to dash back home to get something that couldn't wait. And meets his madam in an uncompromising position. And just as he and the lover boy got into a fight, lover boy broke free, ran for the door to the balcony, opened it and jumped for his dear life, when he heard madam say don't shoot him, shoot me instead. And he jumped to his conclusion. He hit his skull against something and died instantly. The case took like a year and our guy was jailed. The wife was held responsible for the whole tragedy. She tried to make people see how sorry she was, and even tried to say there was no more love between them... but the deed was done. No one cared. Now pause for a minute. Agreed the man had a right to get angry. Agreed the lover boy was wrong to go to a matrimonial home. Agreed he should not have gone for his gun. What if he had recorded it and told her to move out? Would he be an ex convict today? Guess what? The woman is living her life now and the only thing is she is adulterous. Not an ex convict. She can still run for elections. Remarry. And hey! She DID remarry. She tried to see him in prison but after she realized the futility, because the family banned her from even coming near her son, she gave up, relocated and started a new life abroad. The lesson in this is,#MaaSheyBooSheTo! Don't let your emotions make you use all your power and connections to deal with an issue that will be an overkill. Control your anger. Avoid people who work you up. Think twice. If you can not stand the heat, stay out of the kitchen. If you can not do the time don't do the crime... let us learn to control our emotions and anger. You don't want to know what the consequences of road rage have amounted to in surveys. No ones life is worth your life sentence. Think fast. Think twice. Think well"